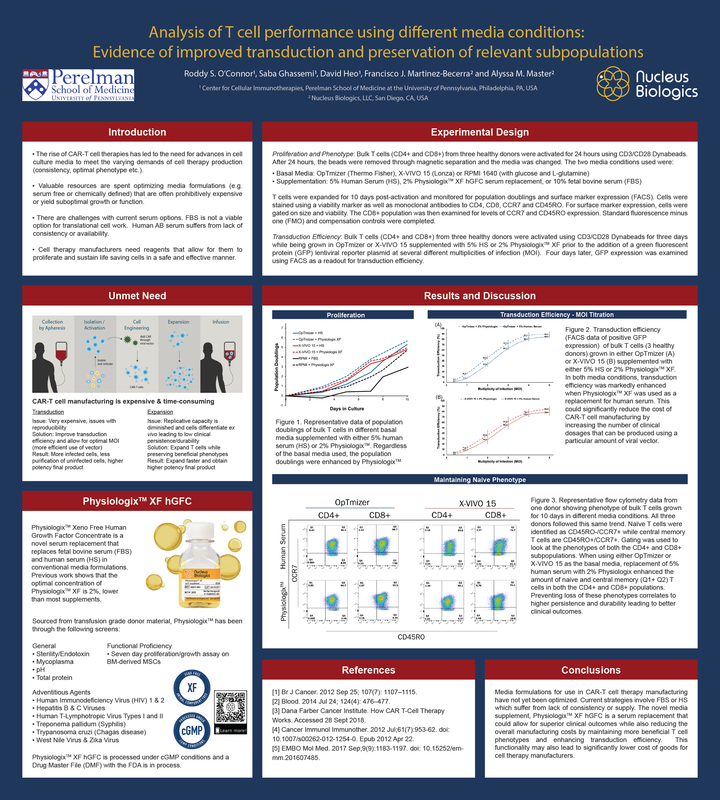 "Analysis of T cell performance using different media conditions: Evidence of improved transduction and preservation of relevant subpopulations"
Poster Summary: Looking to optimize your CAR T manufacturing? The rise of CAR-T cell therapies has led to the need for advances in cell culture media such as serum replacements to meet the varying demands of cell therapy production. Nucleus Biologics is the global leader in precision cell culture products for scientists in academia, biotechnology, and pharmaceutical companies. The company supports scientific reproducibility by commercializing innovative products using a purposeful and documented supply chain.